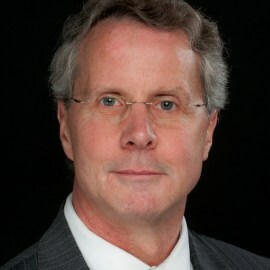 William (Bill) Fitzpatrick first joined the Insurance and Risk Management Group of Deutsche Post DHL in June of 2006. Fitzpatrick has over 25 years of experience within the employee benefits arena and has worked extensively both in and outside the United States. Prior to joining DPDHL, Fitzpatrick spent 16 years working for the U.S.-based insurance company AIG. During his tenure with AIG, Fitzpatrick’s primary responsibilities consisted of sales and sales management. Five of the 16 years that Fitzpatrick spent with AIG were in London as the director of multinational accounts. During this time he was responsible for working with European-based multinationals, in coordinating their employee benefit spend throughout the globe. Located in London, Fitzpatrick’s primary responsibility is managing the Global Employee Benefits Program which utilizes the DPDHL captive insurance companies in bringing break-even premium pricing to its global network, which operates in 220 plus countries around the world. Currently the program operates in 100 plus countries and boasts a gross annual premium that exceeds €110m, with savings of over €20m. Fitzpatrick also has responsibility for DPDHL corporate Directors & Officers insurance cover and Health & Wellbeing (Exc. USA & Germany).